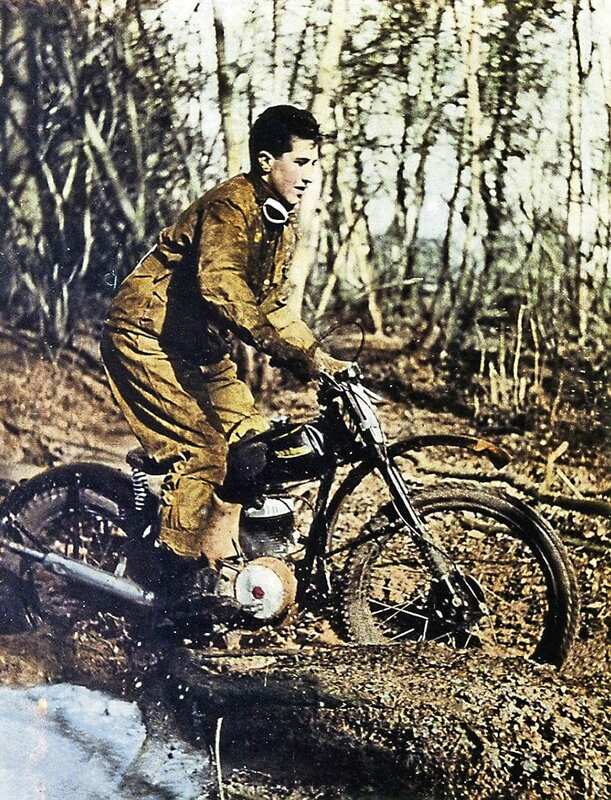 Reading about how the Francis-Barnett pre-dated all trail bikes (OBM April) took me back to 1953, when the specification for the 197cc Falcon trials bike listed a ‘four-inch’ rear tyre and a four-speed gearbox. Before this, the general view was that two-stroke bikes of 122 and 197cc would have only the capability to pull a three-and-a-half-inch tyre, and all Villiers engines supplied to manufacturers specified three gears only. This meant that every trials section could be ridden only in bottom gear. Those were the days! Roger Hayes guides his rigid rear-end Francis-Barnett trials Falcon in the Minety Vale MC trial near Cirencester during the 1950s. Francis-Barnett transformed the performance of lightweights in trials, and I well remember the many super rides that the well-known works rider George Fisher achieved while competing with the best of heavyweights. James and other manufacturers all demanded these updated specifications for the 1954 season. I purchased my trials Falcon 65 on a special order which cost £127. It had no lighting and only a rigid frame was available, so these first machines were intended for competition use only. The Francis-Barnett was a marvellous little bike to ride, and still brings back memories of trials riding in the 1950s, when the winters were really cold and wet! Previous Post:Who could forget Fred and his racing Bantam?